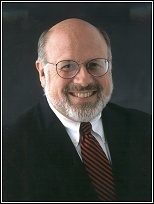 Douglas D. Himes brings to clients of the firm 30 years of professional experience in nonprofit management, nonprofit governance and board development, strategic and long-range planning, arts administration, marketing and public relations, communications, planned giving, grants administration, and funds development. As Founder and President of Douglas Himes Associates and a founding principal of Secor Associates, Inc., he has conducted numerous annual, capital, and endowment campaigns with goals totaling hundreds of millions of dollars in the United States and abroad. Dr. Himes is also a popular seminar, workshop, and retreat leader. He has devoted more than 40 years to professional music ministry as an organist and choirmaster, has served as a board officer for the Royal School of Church Music in England, and is a trained spiritual director. Doug holds a Doctor of Philosophy degree in historical musicology from the University of Pittsburgh. He was a Fulbright Scholar and Andrew W. Mellon Fellow and is published in two languages in seven fields. He is also a graduate of the National Planned Giving Institute at The College of William and Mary.